Grow thicker hair and maintain volume over time while enjoying exclusive savings when you sign up for ROGAINE® Subscribe. Your satisfaction is guaranteed*—and you can cancel anytime. Remember it's important to keep using ROGAINE® to help maintain hair regrowth. 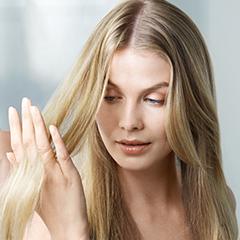 With ROGAINE® Subscribe you'll always have the product you need to stop thinning hair. Choose the plan that's right for you, and cancel anytime. Join ROGAINE® Results & Rewards Program to earn exclusive coupons, products, and gift cards*. Plus, get hair care tips, hair regrowth tracking tools, and a chance to win exciting prizes.